Ace Indian wrestlers Sushil Kumar and Yogeshwar Dutt have emerged as the highest grossers in the auction for the upcoming Pro Wrestling League. The 2012 Olympics Bronze medallist Yogeshwar was sold for Rs. 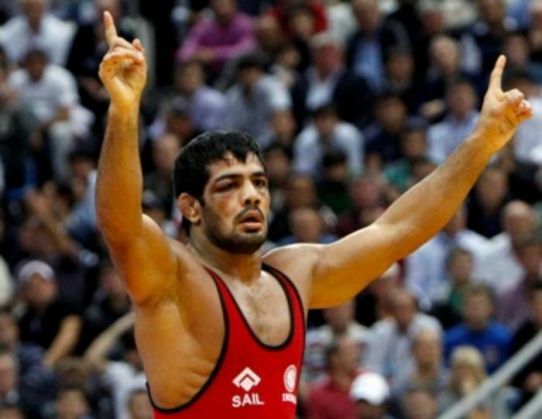 39.70 lakh to team Haryana ahead of Sushil, who was sold for Rs. 38.20 lakh to team Uttar Pradesh. Female wrestler Geeta Phogat, who is the first Indian woman to win a gold medal in Commonwealth Games, was snapped by team Punjab for Rs. 33 lakhs while 2010 gold medallist Narsingh Yadav was bought for Rs.34.50 lakh by team Bengaluru. Amit Dahiya was sold to team Haryana for Rs 30.10 lakhs. Over 50 wrestlers were sold at the auction participated by six franchises for the upcoming league, each with a purchase capacity of about two crores. The tournament, which consists of six teams having nine players each, will be played from December 10 to December 27.